I think it may be useful for many teenagers, boys and mainly for girls to make their profile picture private or unclickable. 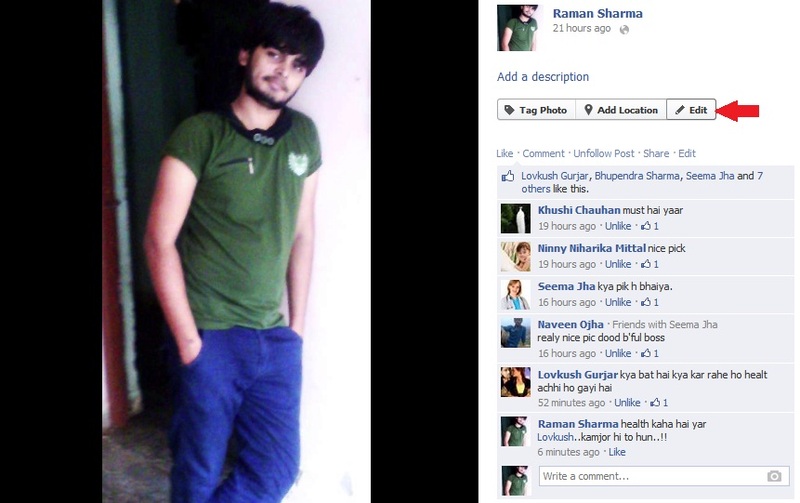 If you do that, no one can view your profile picture to see comments and likes on it. Everyone can see your profile picture but can not click on it to view it largely. It is a great fun and you can leave a best impression on your friends by doing it. 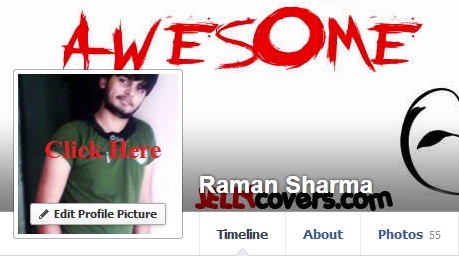 As I know everyone is familiar with Facebook and it’s profile very well. 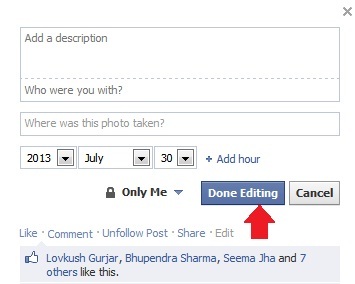 But still there are so many tricks and settings in Facebook profile that you may not know. So, this article guides you how can you make your profile picture private or unclickable. Log in to your Facebook account and open your Facebook Profile. Just Click on your profile picture. In the new pop up screen Click on Edit button. 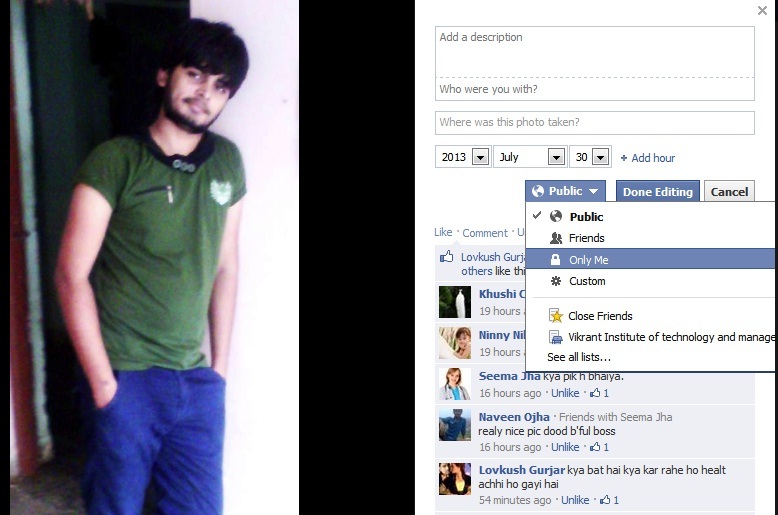 Click on Public dropdown button and select Only Me to make picture private. At last Click on Done Editing and you have finished! Update: This facility is now unsupported. Facebook team made a few changes. According to changes you can’t make a profile picture unclickable now but yes the comments and likes on the DP won’t be visible. I have done this but it still is clickable. It enlarges but does not have any of the comments on the right side. Any idea why? Hey Anto, This facility is now unsupported. Facebook team made a few changes. According to changes you can’t make a profile picture unclickable now but yes the comments and likes on the DP won’t be visible.